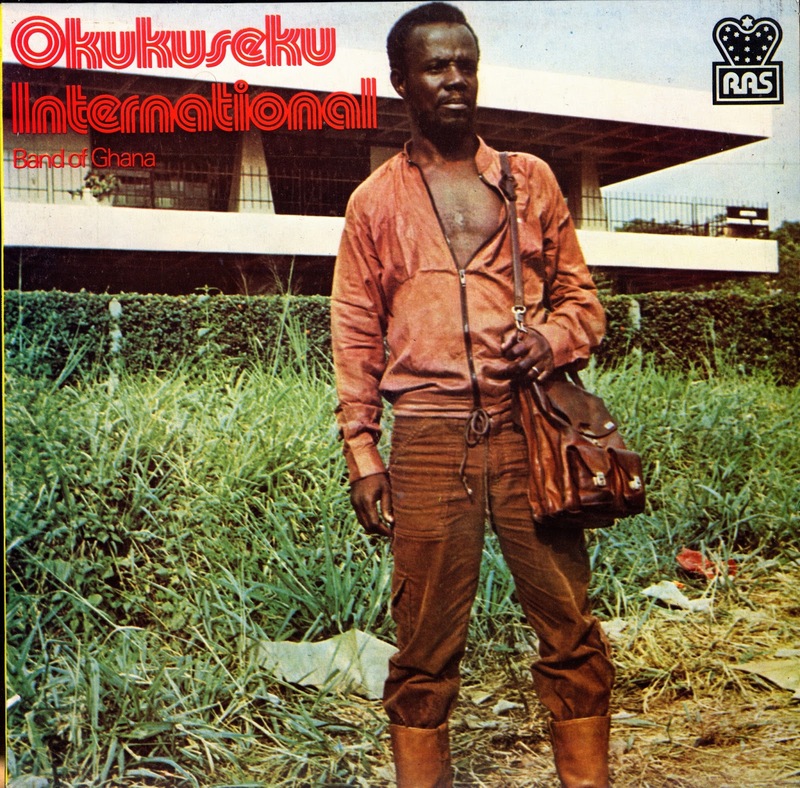 For the next selection on the highlife turntable, I have selected the track Ode Ama ne Mma by the Ghanaian band Okukseku off a 1981 RAS release. Ronnie Graham has an excellent history of the band in his Da Capo Guide to African Music. Formed in Accra in 1969 by Kofi Sammy and Water Proof. Kofi Sammy is the singer and composer. He started his career with the Kakaiku Guitar Band before moving onto to the K. Gyasi and his noble Kings Band. Water Proof was an actor, who started with the E.K. Nyame No. 1 Band. 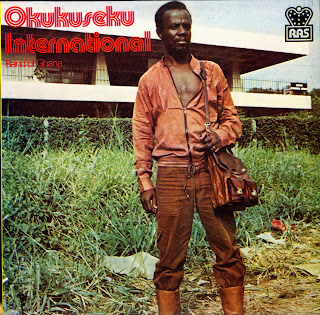 They moved to Kumasi in 1970 and began recording with the Ambassador Studios. The remained popular during the 70's, but economic pressures and limited recording facilities prompted them to move to Lagos. The band recorded 2 LP's, but their rootsy brand of Highlife was more popular in the East so they moved to Onitsha, in 1981, to record with the Rogers All Stars. They continued to play Asante highlife, singing in Twi, but also added songs sung in Pidgen and Ibo to appeal to their Nigerian audience. In 1985 conditions in Ghana improved and they moved back. They have not recorded any new LP's since then, but they remained popular. Also, several Anthologies of Chief Kofi Sammy's music were released on CD by Tropic Vibes Productions. Thank you for your kind words. I never know who is out there listening, so I appreciate your message and am glad you like the music and find value in what I am doing.